While a root canal isn’t a procedure that we look forward to, it becomes necessary for many dental patients. It’s important you find a Staten Island root canal specialist to ensure that you have the best experience possible. At Sola Dental Spa, we’re proud to provide our patients with exceptional care. As a high-end dental spa, we make the treatment as painless as possible and make sure you are comfortable throughout the process. If you need a dental root canal treatment, here is a little information to help you learn more. How Long Does It Take to Recover from a Root Canal? you can get a new set of teeth in just one day! When it comes to recovering from a root canal treatment, it won’t be the same for everyone. It will depend on the severity of the root canal and other factors. For many people, the sensitivity will only last for a few days after the treatment. In complicated cases, the sensitivity can last one or two weeks. The root canal dentist will give you more information about recovery time after they have completed an exam. At Sola Dental Spa we encourage people to take advantage of our spa and relaxing atmosphere. Dentistry doesn’t just help straighten and whiten teeth but can boost your confidence levels. When you’re smile is beautiful and fresh, it’s more fun to show off, and we embrace that feeling. After all, smiling is infectious! 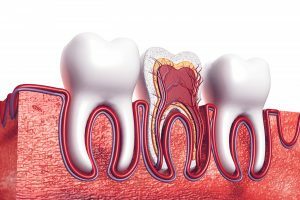 While most people associate pain with a root canal treatment, often it is the tooth causing the pain and not the procedure. The procedure will relieve the pain, and when you go to specialists, you’ll have access to state of the art equipment and a highly skilled dentist that can make the process even less painful. So you want to fix your Root Canal, make sure you go to a dentist that specializes in Endodontic Thearpy. There are a range of procedures that an Endodontic dentists in Staten Island can provide. The first step is calling to schedule a consultation to learn more about your options. Is It Safe to Get a Root Canal? It is safe to get a root canal treatment in Staten Island based on the dentist that you see for the treatment. Not all dentists are able to perform root canals, and they will refer you to someone that can. Don’t take any risks with a root canal treatment, and make sure that you go with the best like Sola Dental Spa. At Sola Dental Spa, we always take the time to learn about the latest technology and treatments. Our dentists in Staten Island are highly educated and continue to train on new equipment and treatments. We’re highly skilled when it comes to dentistry because we are passionate about our industry. We look forward to leaving patients with a beautiful smile and the best customer service. Your next steps are to make an appointment to get the root canal or to get an exam and find out if you need one. You can reach out to Sola Dental Spa today to learn more about our treatments and service. We’re ready to relieve the pain and bring your bright smile.